The forex trading market is the largest market available today and most of the financial liquidity happens in the forex market. For example, the forex market has an average traded value of USD $2,000 billion daily. This amount in US dollars makes this market even larger than the stock market itself. As an investor, you should definitely consider the forex trade market, as it is the one that offers most profitable trading opportunities one in the world. 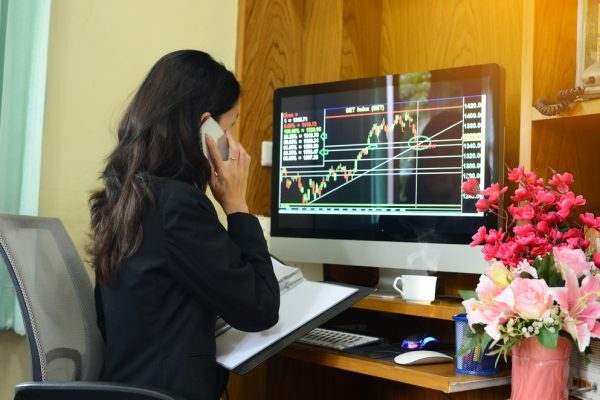 The unique trait about the forex market is that there is no central headquarters or marketplace for currency trading, but it is conducted electronically – all transactions are made through computer networks between investors around the world. Forex market is open for traders who want to invest and make money all day long, five days a week, and currencies are being traded almost everywhere in the world. There is risk and gain in this kind of market, however, and you can see a good return on investment if you are already well versed with FX trading. Nevertheless, there are multiple reasons why you should invest in currencies trading, so keep reading for more. As we were discussing earlier, the forex trade market is, at this point, the largest one in the world. This certainly gives investors and traders great chances to make good profit and earn some money while they play this investing game. There is no other market as big as forex right now, so this would be the first reason why you would want to invest in it. If you are also curious about this investment market and you have only looked at it from the margin, it’s time to go in and start playing. The second reason why you would want to invest in the forex market is the accessibility. This market, unlike any other investment market, is open all day long and it doesn’t require you to wait for institutions to open to be able to trade. Also, you can easily trade currencies from your pajamas any time of the day. This makes Forex a simple to access market, and basic to use by any retail trader. Today, with the internet we have at hand and the constant access to it from everywhere we are, it is even easier to trade on forex market from our own home. Being a direct result of its size, the equality of the market is a huge benefit for anyone looking to invest in it. Given the enormous size of this trading market, no institution or individual can affect it by purpose or control it by purpose. Therefore, the market keeps everyone on the same level, as it cannot be manipulated. If you are an investor, this is probably one of the main reasons why you should go ahead and invest in the FX market. The fourth reason why the forex market is a market worthy to invest in is the leverage. Since this market has unique characteristics compared to other markets, the leverage is better for investors. As you do not need a large sum of money to trade a large sum of currency, you get a minimum of 100:1 leverage from the forex brokers today when you make an investment. The forex market is always dynamic, on the move, and very volatile. The market is always making large movements, as large transactions and high liquidity is being in transaction every day. This is a great news for investors who want to play on a dynamic market that can increase their profits with a little bit of risk. For example, volatility for most of the liquid stocks is between 60 and 100, while volatility for currency trading is 500, which is a very attractive feature for people who want to make easy and quick profits. There is a huge amount of potential profit on the forex trading market, which is another unique trait of this particular market. The best thing about the forex trading is that you can make a profit regardless of the direction the market is going in. As opposed to the stock market, the forex market allows you to profit both when the value of your stock is going up or down. In the stock market, you only see a profit if the stock you own sees an increase. The forex trading is a two-way street, so you must be always working in pairs – do not forget that you always have the possibility to make a profit on Forex. This is another huge advantage to consider when entering the forex trading market. To invest in a market with a high level of transparency is a good step forward, and that is why you should consider trading in the forex market. Simply, with this market, what you see is exactly what you get and there will be no surprises. All you have to do is analyze the news, look at the numbers, and read the charts. If you do all that, you will have no surprises with your investments. After a while, if you know what you are doing, you will be able to accurately predict the market direction. So, these are the main reasons why forex trading market is a good option for any investor, but the decision whether to invest or not always belongs to you. Before you enter the forex world, it is advised that you carefully read all these advantages and compare them to the markets you know. The truth is, there is no other market as beneficial, transparent and profitable as the forex trade market and every investor should, at least, try to exchange currencies. Once you go forex, you will probably want to stay on this market and keep investing.